The retina is a thin membrane that covers the internal part of the back wall of the eye on which images are focused that are subsequently sent to the brain. The macula lies in the centre of the retina and is the part responsible for central vision, the sight we use for reading, watching television and recognising faces. An epiretinal membrane occurs when tissue contracting on the retina's surface leads to it wrinkle or "pucker", with the consequent loss and distortion of vision. In many cases this has to be removed via keyhole surgery to avoid irreversible sight loss. Tissue (membrane) growth over the macula can occur in healthy eyes and be related to detachment of the vitreous (a gel-like substance that fills the inside of the eye) from the retina. Membranes can also form after any phenomenon producing ocular inflammation, such as surgery, inflammatory or infections intraocular illnesses. 1. Patients undergoing eye surgery. 2. Patients with intraocular inflammation, especially at the back of the eye. 3. Patients with retinal vessel pathologies. 4. Patients with macular epiretinal membrane in their other eye (approximately 20 % greater risk). The symptoms related to epiretinal membrane usually start gradually. If the membrane contracts, it can distort vision or a fog may appear in the centre. Over time, this distortion gets worse and can cause problems with reading and it may even become difficult to carry out any task with the affected eye. A thorough ophthalmological examination is crucial, which also includes the following tests: a retina scan, autofluorescence and optical coherence tomography. In some cases fluorescein angiography is also required to rule out any associated pathology. 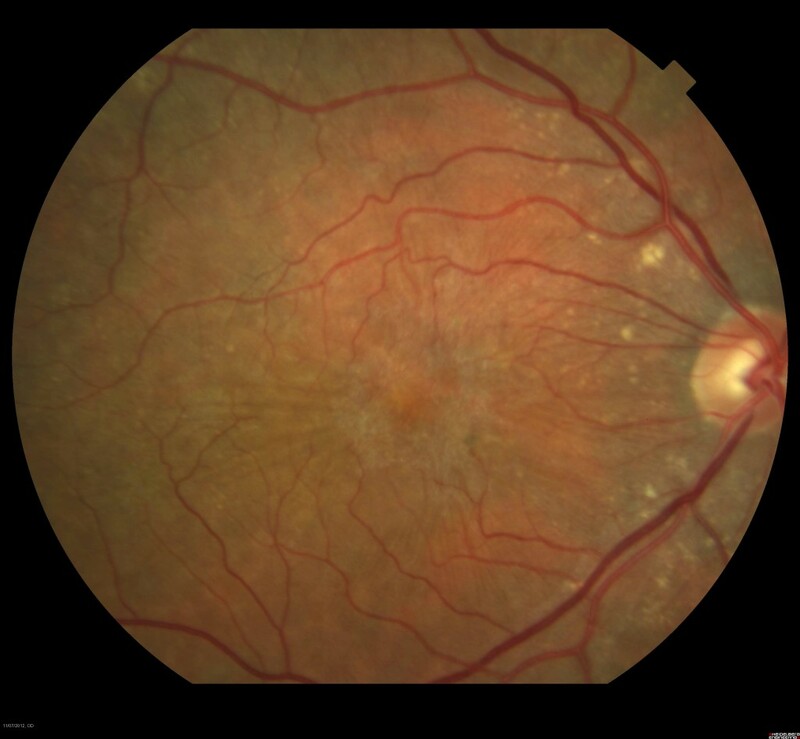 A relatively high percentage of macular epiretinal membrane cases tend to stabilise and, at the height of stabilisation, if the symptoms are not bothersome or do not reduce the patient's quality of life, they can continue to be monitored without the need for surgery. In those patients where the membrane is still evolving, there can be significant distortion or sight loss. These cases are treated via posterior micro-incision vitrectomy which consists of extracting the vitreous humour and dissecting the membrane producing traction to release the underlying retina and thereby allowing it to relax and function properly. Surgery is carried out under local anaesthesia so that patients can return home afterwards. In 80 % of the cases, sight improves gradually during the months following surgery. However, only limited sight can be restored in those cases where the membrane causes a large amount of traction and deformity in the retinal tissue. If patients have not been operated for cataracts, these may develop in the operated eye. Other extraordinarily infrequent risks in any intravitreal procedure are retinal detachment and infection inside the eye (the rarest complication of all). The Institut de la Màcula has state of the art technology to diagnose and treat macular epiretinal membrane. Cutting edge technology, both in the visualisation and instruments used in keyhole vitreoretinal surgery, allows us to treat epiretinal membrane with the utmost guarantee of success.